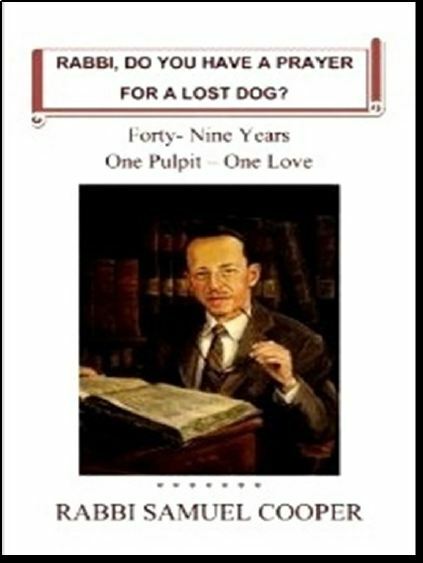 "Rabbi, Do You Have a Prayer For a Lost Dog?" Available now, Rabbi Samuel Cooper's eloquent voice is heard throughout his manuscript, created in the 1990's. His collective stories give insight to the making of a rabbi from the early 1900's to the 20th century. "Why this book?" he asks in his introduction. The answers are on every page, in every chapter. Edited and compiled by Linda Borstein Toborowsky. The cost is only $22.95 per book plus $4.00 for postage and handling, or you can pick up a copy at the Synagogue Office (304-346-4722) . Reserve your copy today by clicking below! Yes, I would like to reserve a copy of "Rabbi, Do You Have a Prayer for a Lost Dog? ".